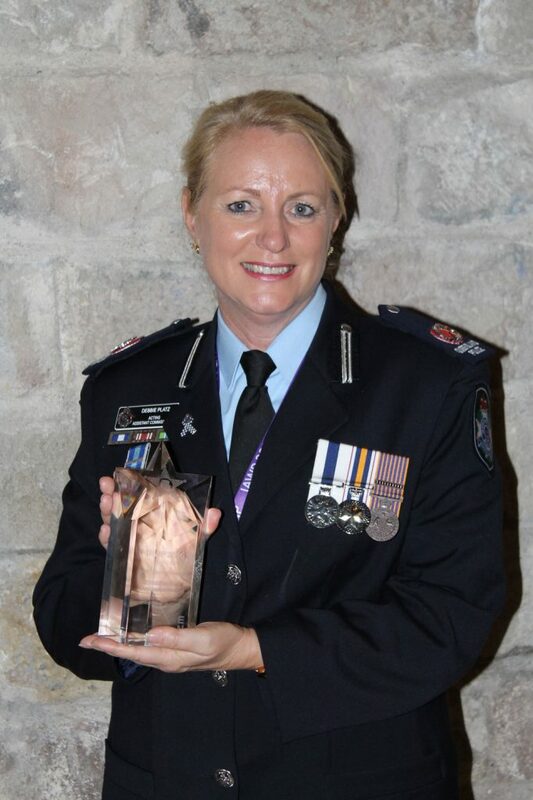 Acting Assistant Commissioner Debbie Platz has been globally recognised by receiving the prestigious International Association of Women Police (IAWP) Officer of the Year Award. This award is awarded to female officers who, by their overall service and accomplishments throughout their career, have distinguished themselves in the four areas of leadership, community service, mentoring and excellence in performance. Acting Assistant Commissioner Platz has a lengthy and distinguished career in the QPS and has made a significant contribution to policing. Ms Platz is innovative, professional and an outstanding mentor to officers, especially women across Australasia.